Facebook Advertising will revolutionize marketing just as Google did in the early 2000’s. Facebook has an immense amount of user data on their over 1.23 Billion active users; and they use that data for advertising purposes. 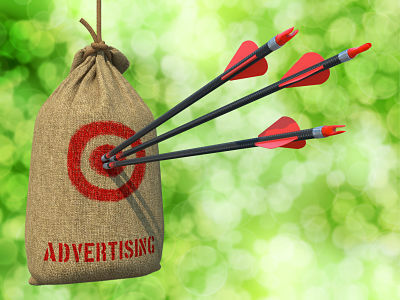 You no longer have to place an ad somewhere hoping that your target audience will see it. Facebook Ads give you the ability to hyper-target your customers and only pay if they see you advertisement. With over 76% of Facebook’s monthly user base accessing Facebook on their mobile devices, you can now get in front of your clients wherever they are, at any time. Since Facebook went public in 2012, they now have officially migrated from a “free” social networking site to an advertisers dream. Don’t misunderstand, Facebook is still free to their user base and I’m sure they will never stop that, but to get your brand in front of their user base now costs money. In January of 2015 Facebook announced that they would substantially decrease the viability of business pages unless that page was paying to “boost” their post or otherwise partake in Facebook marketing. It does bring an end of an era where you could create a Facebook Business Page with a little skill, get in front of your audience. The glory days of Facebook Marketing for Free are over. Many digital marketers went ballistic when Facebook started running ads and letting people into their immense amount of data. Its a similar transition to what Google did in the early 2000’s, which single handedly put a major strain on the financials of almost every newspaper and periodical in the world. Prior to Google, if you wanted to say, sell boots–you would take out an ad in the local newspaper about your awesome boots selection. The idea was if the paper had a large enough circulation, that hopefully a small percentage of those people would have an interest in boots, see your ad and become a customer. This was how almost all advertising worked up until Google. Google changed the game by saying we will only show your ad to people looking for boots and you would only pay them if someone clicked on your ad to fully see your advertising. This is a major shift. Needless to say, they simply put your website link at the top of a Google Search for boots. But this led your target market to people specifically looking for what you are selling. This is still the cash cow of Google that lets them pay for silly stuff like this Insane New Office Headquarters and lets them afford all the other crazy things that most companies can’t afford. You may be aware that your Facebook Business Page has seen less traffic recently. They have consistently been Reducing the Visibility to Facebook Business Pages for some time with a death blow in January of 2015. Even people that “like” your page will most likely not see what you are posting unless they come to your page. You may have noticed that you now have the option of “boosting your post” so people will see it. In early March, Facebook has said that they will remove the “likes” of “non-active” Facebook users too. For most things, I don’t recommend simply boosting a post, you have much more powerful options. Lets say you are a real estate agent and want to market to first time homebuyers. 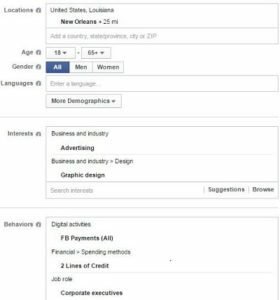 With the tremendous amount of information that Facebook has on their users, you can create an ad and have only people that you choose see that ad in their Newsfeed. So for that real estate agent, they could make an ad that says, “Buying Your First Home — Its Easier Than You Think” and give some other reasons for that target buyer to click the ad. The beauty of the system is that in setting up the audience that will be served by the ad you could choose: people that currently rent their home, people with at least two lines of credit, people that are engaged to be married, people that have gotten married within 6 months, people that make over 65K per year and people that live in the geographical area that you work in. WOW…think about that for a moment…That real estate agent would only pay to have their ad seen by people that may click on it. This makes the ad very effective and cost efficient. You can even choose how much money per day you wish to spend, which ultimately dictates how many people will see you ad. Just because you have a Facebook Ad that is hitting your target audience, that doesn’t mean you’re putting money in your pocket. There is another piece to the process which is a landing page built on your Business Website that is designed in the same vein as the ad. The landing page needs to have a similar look and feel, and back up what you have said to get them there. Needless to say, it needs to have multiple Calls to Action to have the user give their information. Many businesses, miss the final and most important part—–which is following up IMMEDIATELY when a new client gives their information. That doesn’t mean an automated e-Mail, it needs a phone call or a personalized message. Needless to say, this is not brain surgery but Facebook Advertising does require the ability to create the ad, choose the correct audience and build the corresponding landing page on your business website. If you don’t feel comfortable doing this…DON’T FRET!!!! DEAN Knows Social Media can help! We have built many ads and corresponding landing pages, all with tremendous success. We also handle Social Media Management and Reputation Monitoring so you can focus on running your business. 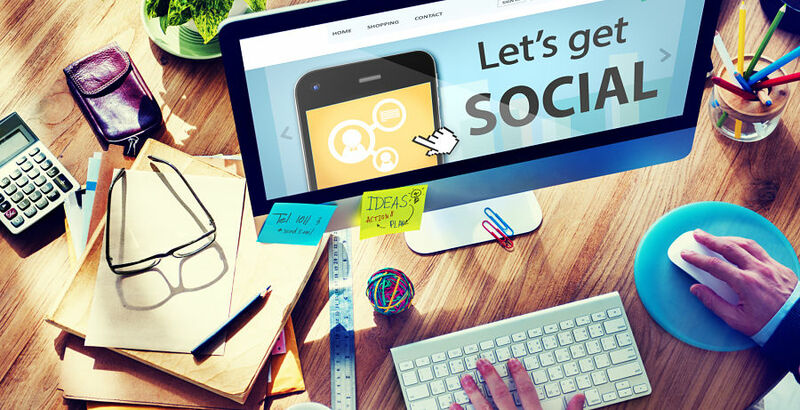 If you would like us to give you a hand with Social Media Advertising, Contact Us Today! 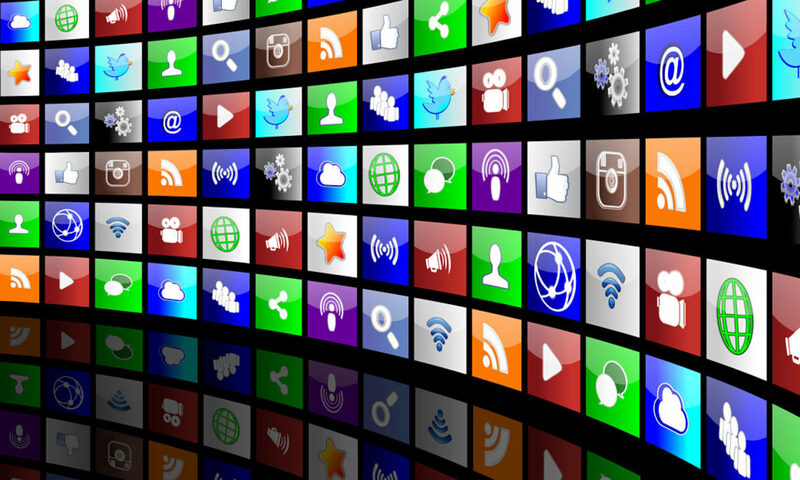 What is Trending in Social Media?